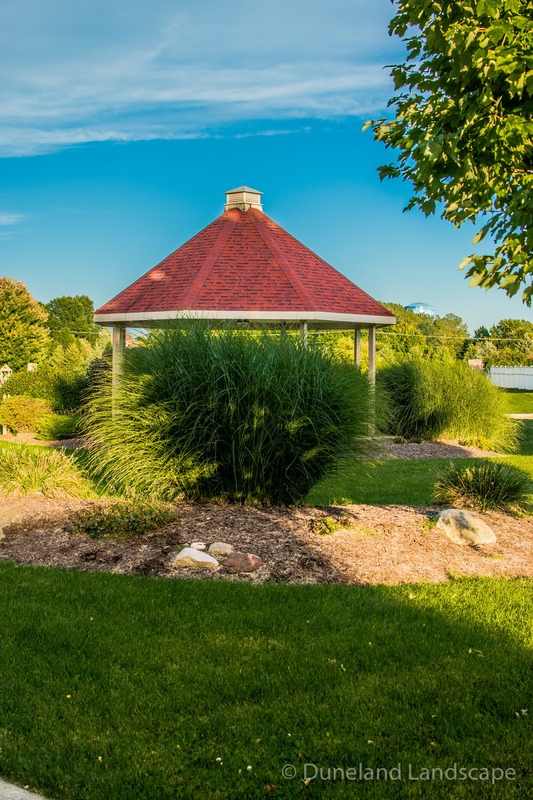 This park’s newly installed landscape now frames this Indiana neighborhood with the beauty it deserves. 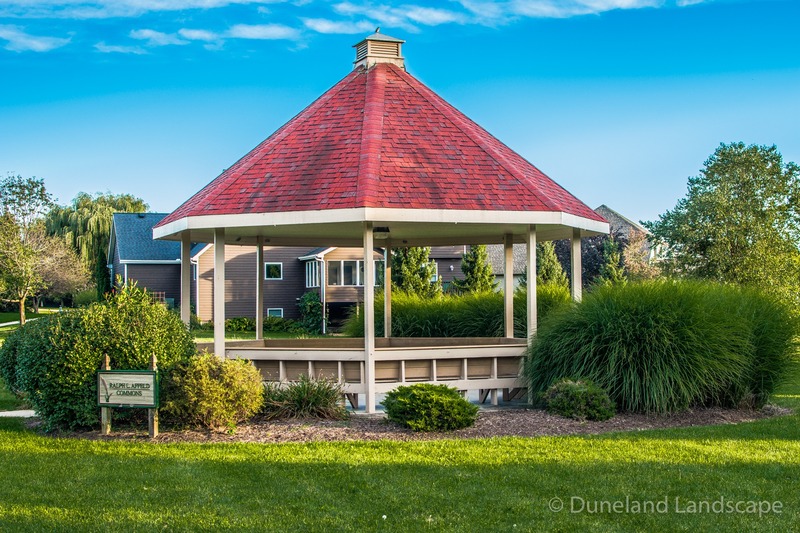 Duneland Landscape designed and installed this new landscape all the way from the brick framed entrance to the beautifully bordered pergola. 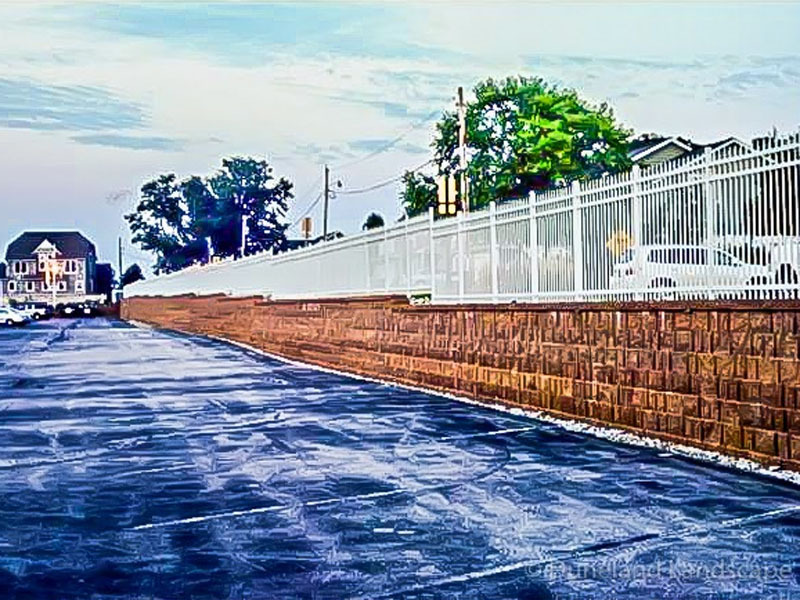 We started this project by focusing on the community entrance we framed it with brick pillars and complimentary landscaping. 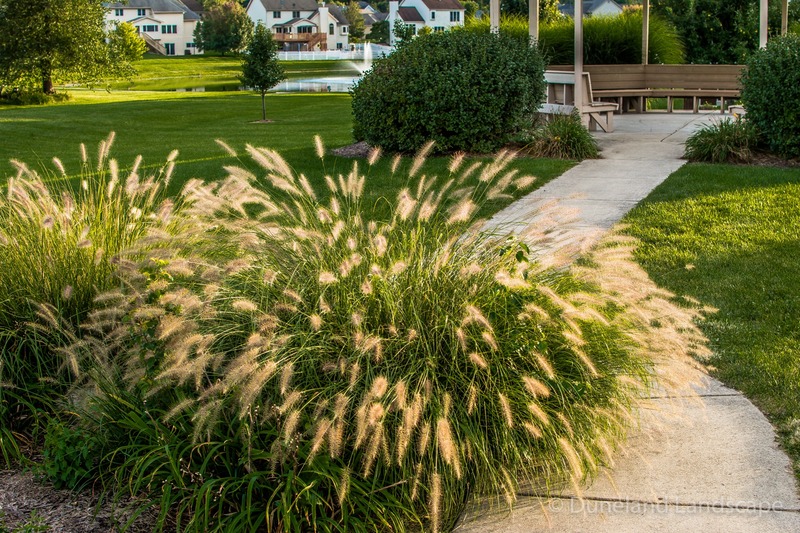 In this planting area we framed the sign with voluminous edging bushes to give it both body and comfort. 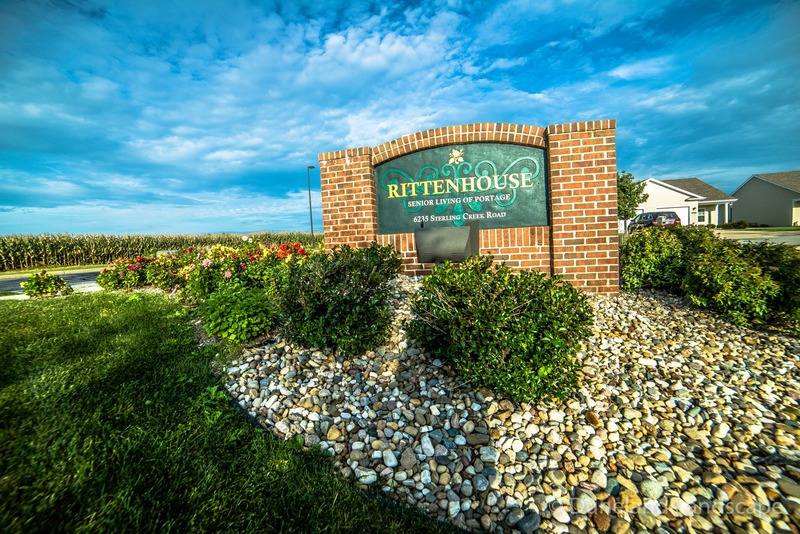 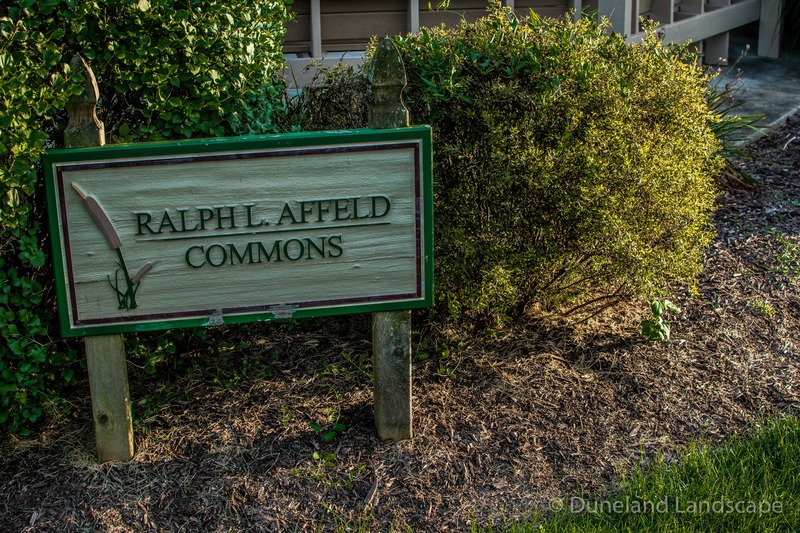 In the surrounding planting bed, we planted a few smaller bushes which complement the main signage and surrounding greenery. 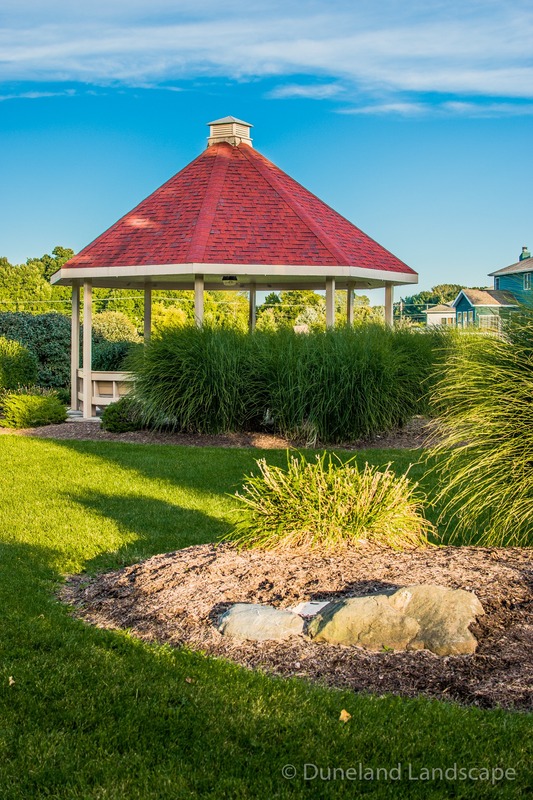 We also chose to use a small pop of color with perennial flowers to soften the area and also have them be a staple from year to year. 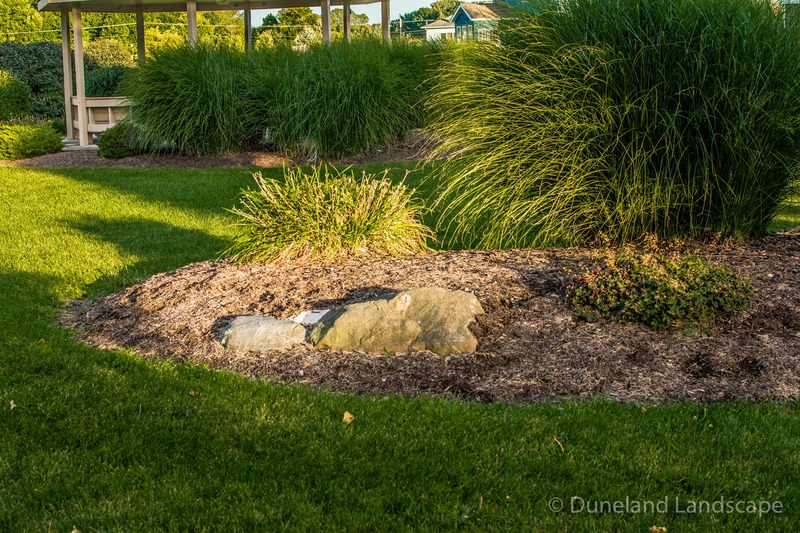 The hardscape bed is a definitive oval shape to allow for ease of grass mowing around it as well as it being filled with all-natural wood chips to minimize weeds. 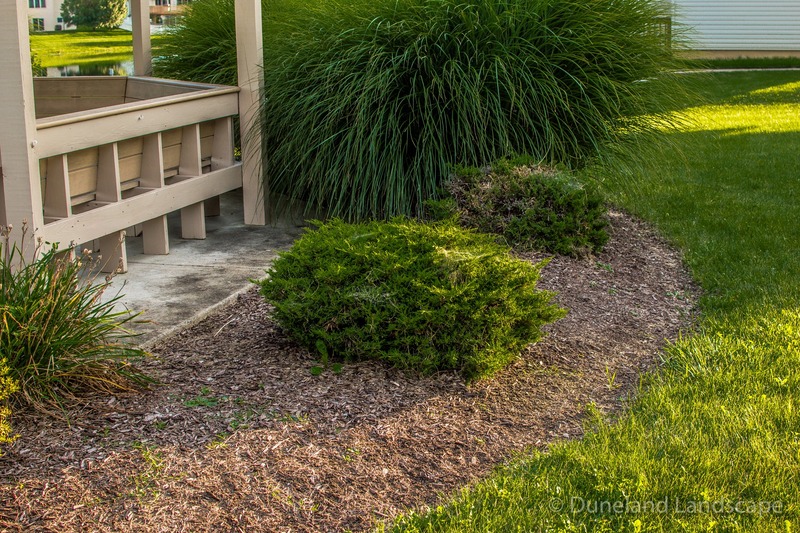 Near the pergola we incorporated a similar landscape design to tie the entrance and middle together. 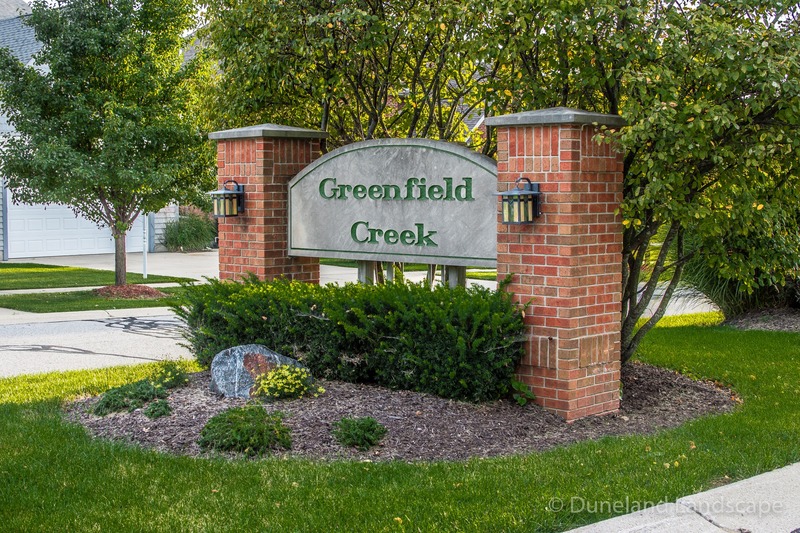 We did this with the usage of texted greens and both low- and high-rise shrubs and bushes all of which create an inviting atmosphere. 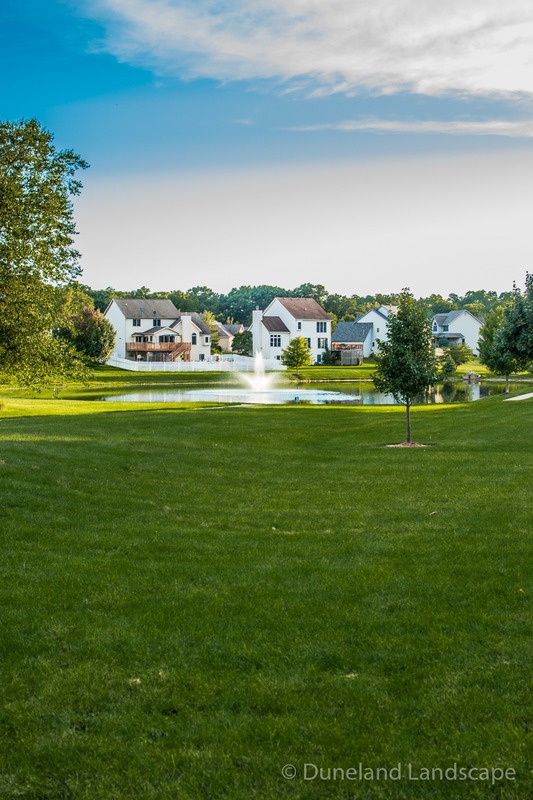 Additionally, we added hardscaping for the surrounding trees to focus on the pond fountain creating a sense of comfort and clarity. 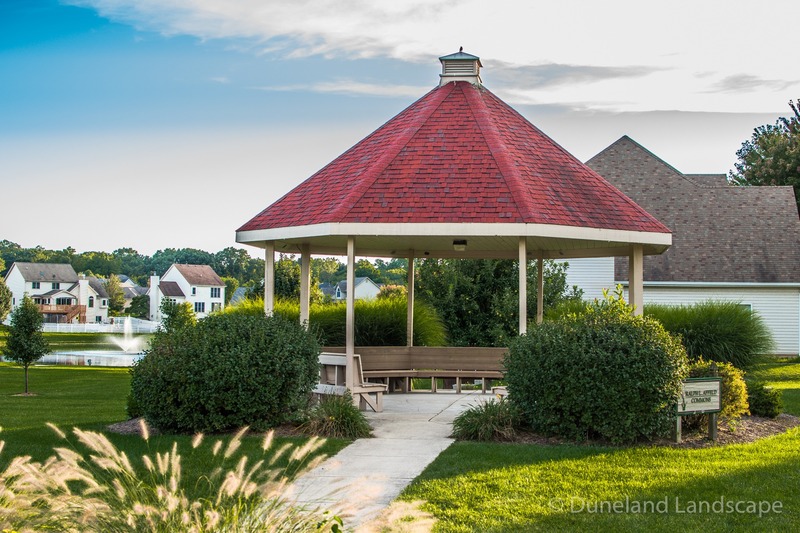 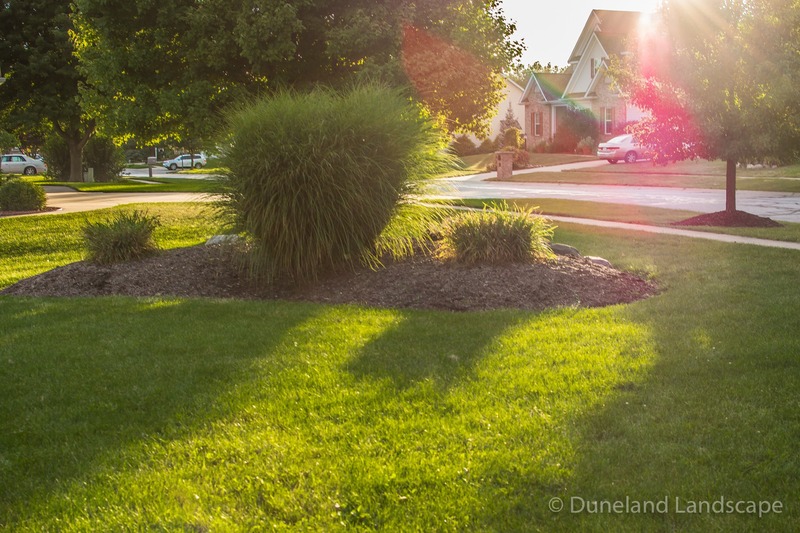 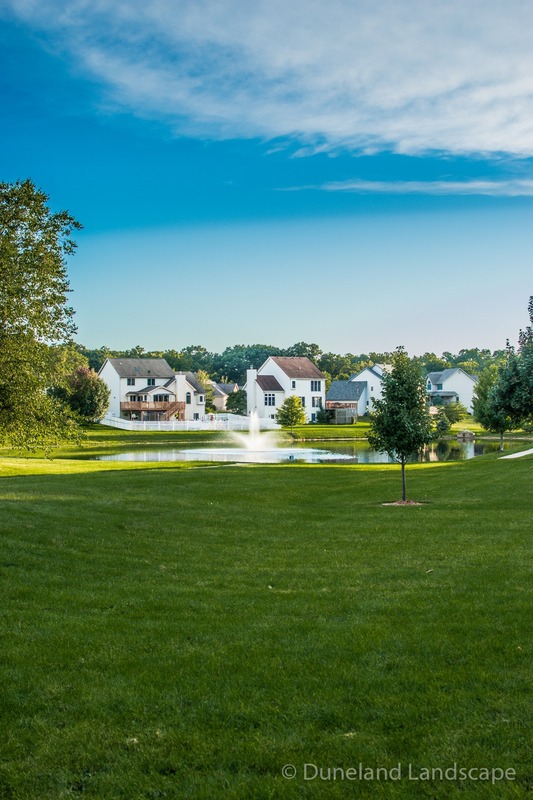 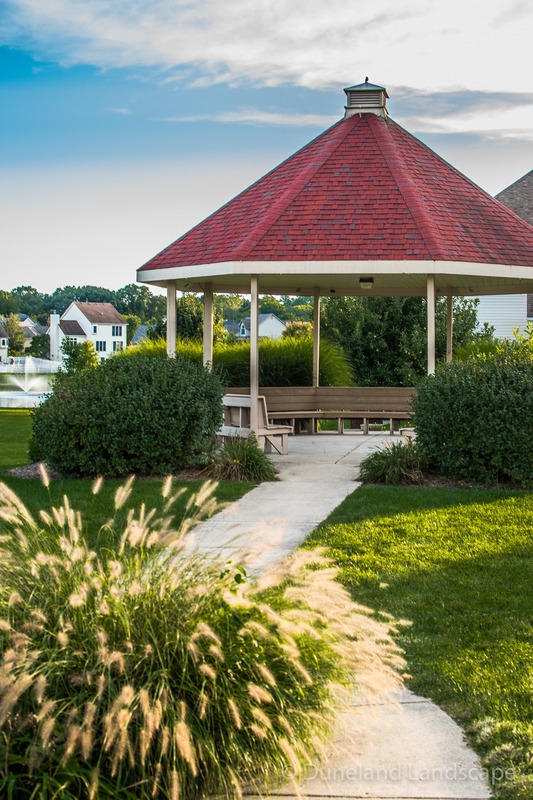 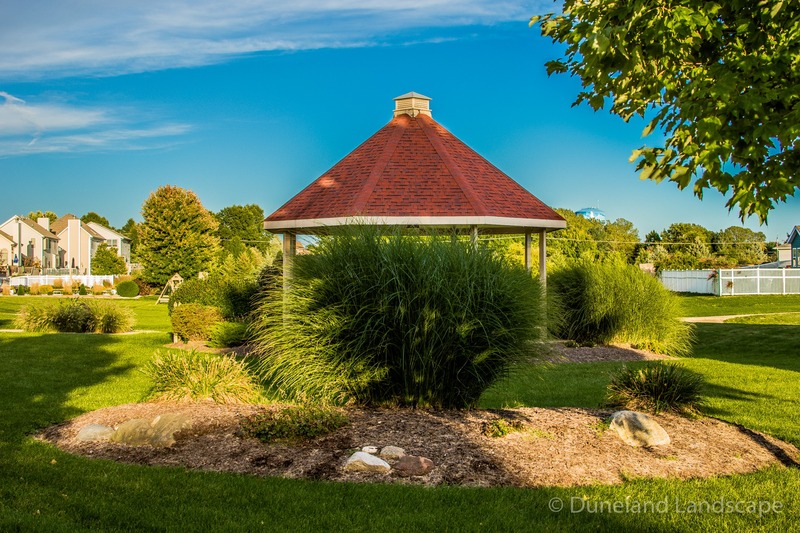 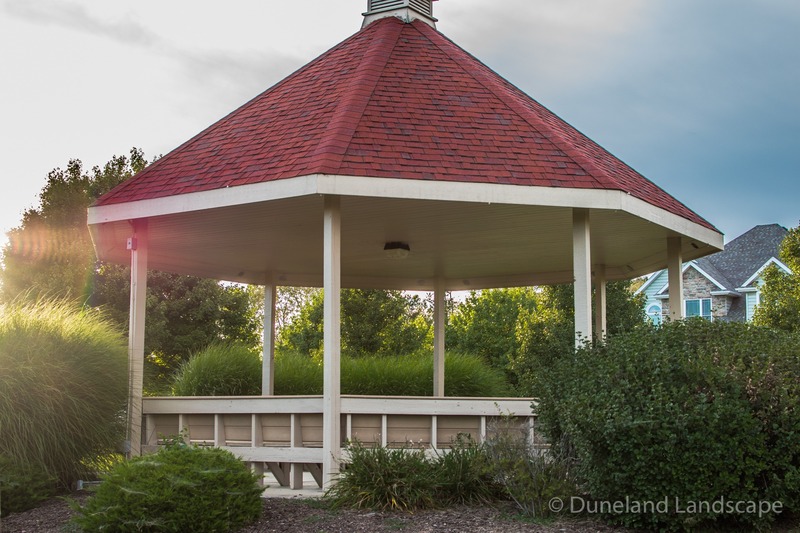 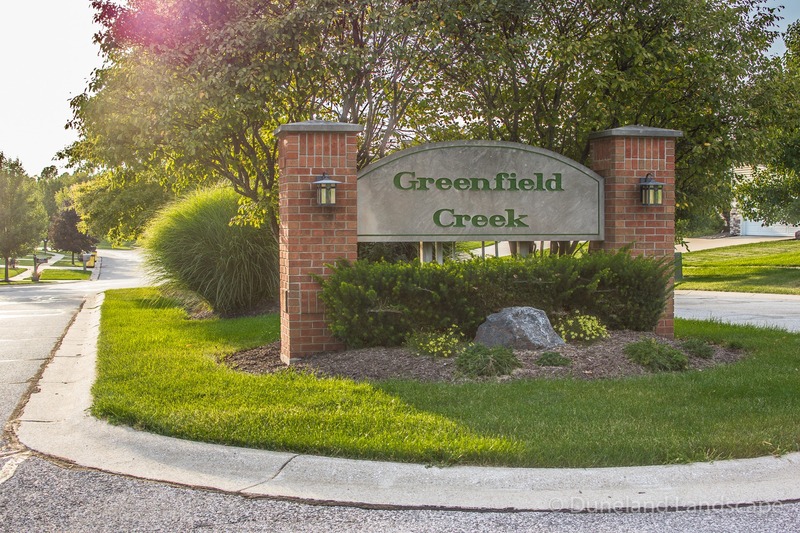 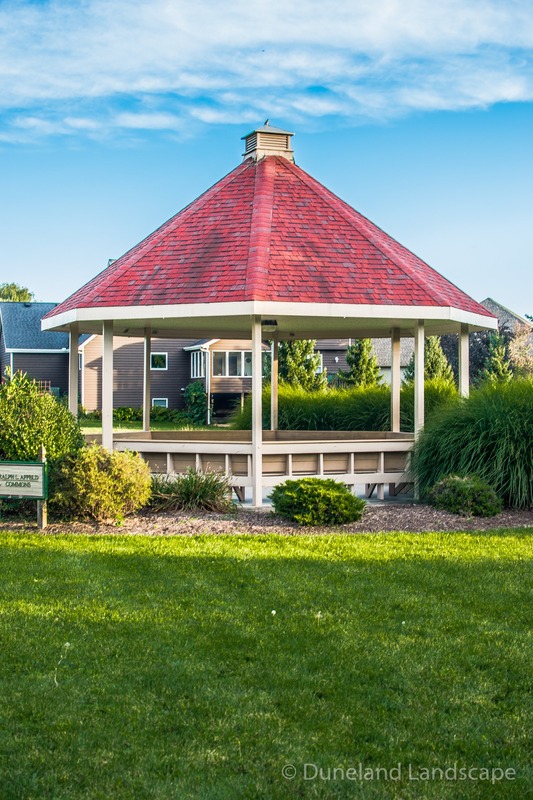 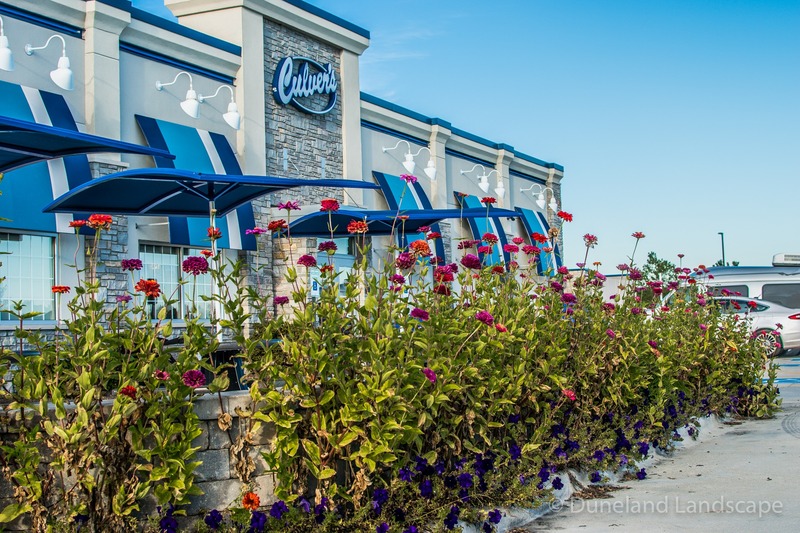 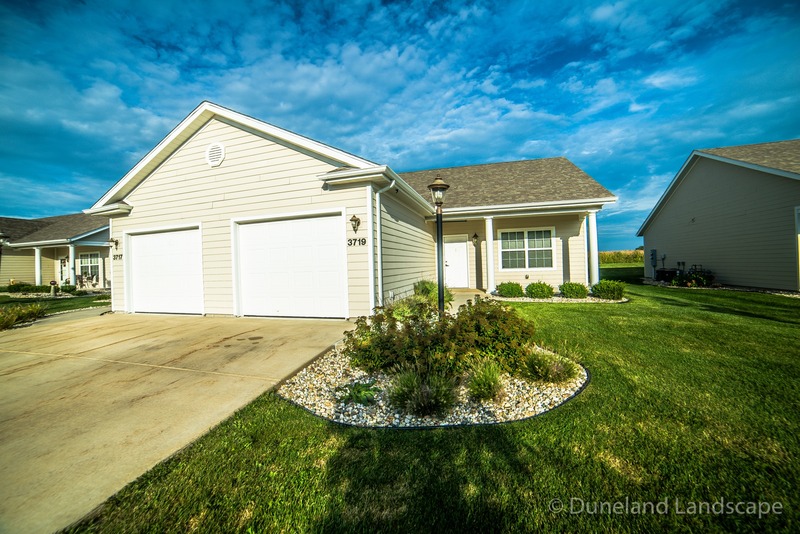 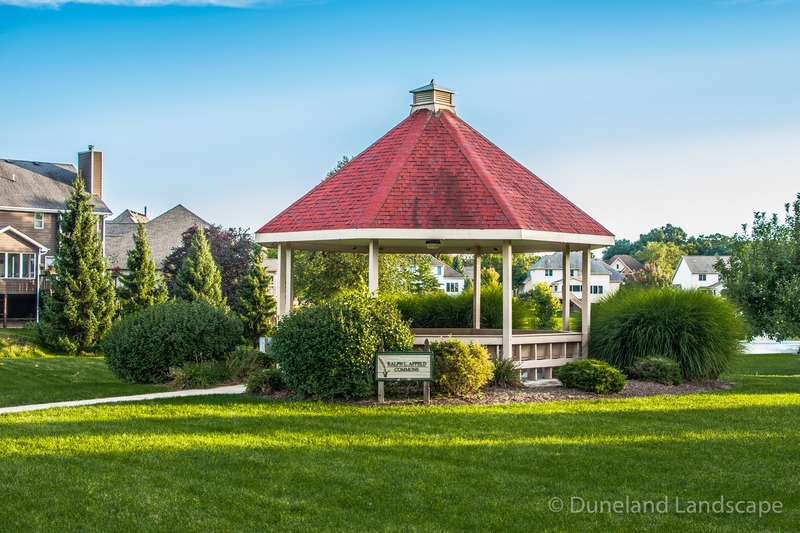 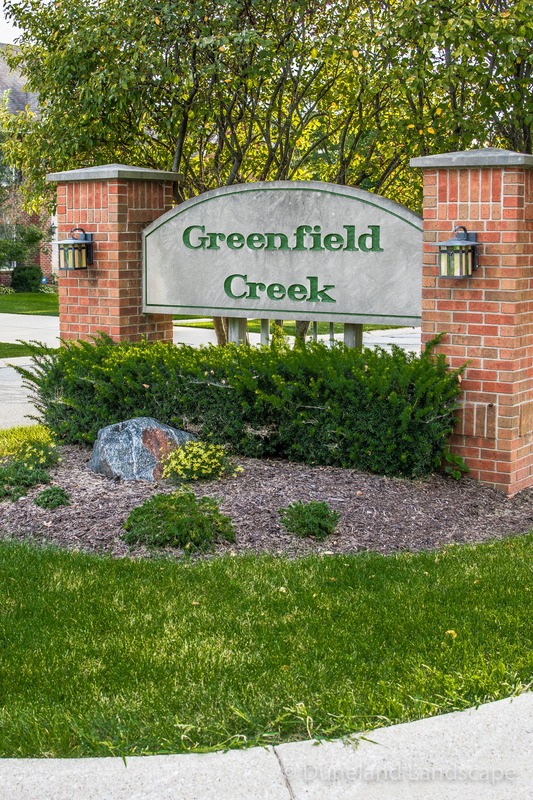 If you are looking for quality commercial landscape design and installation in the Northwest Indiana and Southern Michigan area, choose the trusted Duneland Landscape for your business. 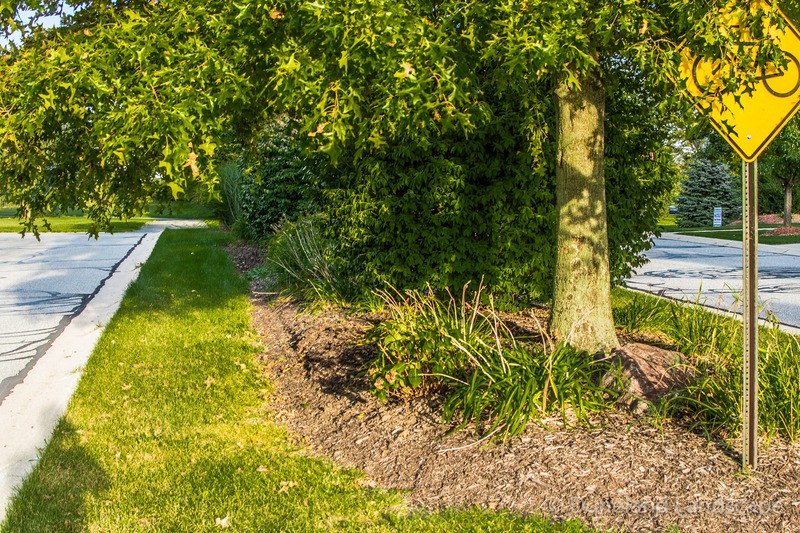 Contact us today for more information to start creating your companies’ perfect landscape.